In a horrible incident, a man allegedly killed his mother by throwing her off the terrace of the building. The mother was sick and ailing. However, the police have arrested the accused, who is a professor, in the alleged murder case three months after the old woman’s death. Police have uncovered what could be a chilling murder, in which a young man allegedly threw his ailing mother off the roof of their apartment building and then pretended that he didn’t know anything about it. As believed earlier, Jayshreeben Vinodbhai Nathvani, died on September 27 by jumping off the terrace of her own building, Darshan Avenue in Gandhigram area and died on the spot. Police registered a suicide case and closed the file. 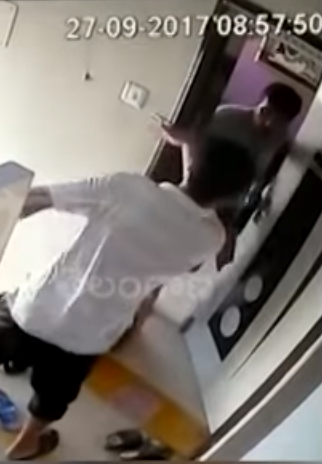 In the investigation, the CCTV footage was recovered from the building in which the man was seen dragging his mother from the apartment towards the stairs. A few minutes later, Sandip Nathvani, the professor was also seen running back to his apartment after throwing his mother from the building. Police had earlier registered a suicide case but an anonymous letter and CCTV footage helped them to find that it was murder and not suicide. 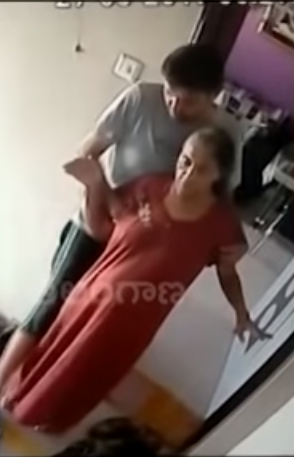 Upon interrogation, Sandip said, “My mother was going for sun obeisance and I was helping her.” Police then checked the CCTV footage and found Sandip helping his mother climb up the stairs.